I took at look at a conversation in theoretical computer science about double blind peer review. Kevin Knudson and I published two new episodes of our podcast My Favorite Theorem. 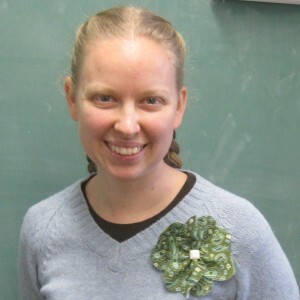 Listen to Laura Taalman talk about her hilarious favorite theorem in knot theory and Federico Ardila talk about matroid theory and being both a mathematician and a DJ. Every math enthusiast knows that Pi Day is March 14. I wrote about my Pi Day curmudgeonliness for the Chicago Tribune. In February, I found myself on a road trip without an audiobook. My mom came to the rescue with a few selections, including Lost Empire by Clive Cussler and Grant Blackwood. It had some math in it, and I wrote a short post about it for Alex Kasman’s Mathematical Fiction website. I analyzed the psyche of the pseudo-rhombicuboctahedron, a nearly-Archimedean solid. A reflection on prose and prose-poems of Gabriela Mistral. I reviewed Inventing the Mathematician by Sara N. Hottinger. I’ve seen a few posts about math and genius around the math blogosphere recently, so I wrote about them. For #womencomposerswednesday, I shared music by my Baylor classmate Julia Lake Bozone, Marion Bauer, Vi Hart, Mathilde Kralik von Meyrswalden, and Julia Perry.